The Jo Daviess County Clerk and Recorder is responsible for maintaining vital records such as birth, death and marriage certificates for Jo Daviess County. The Clerk and Recorder's Office has marriage records dating back to 1830 as well as birth and death records dating back to 1877. 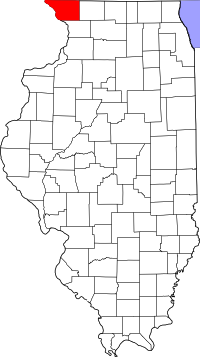 You can also use Illinois Regional Archives Depositories (IRAD) to search for Jo Daviess County vital records. Another good option for vital record request is the Illinois Department of Public Health. For divorce records you can visit the Jo Daviess County Circuit Clerk.